My husband is left-handed, so naturally he set the phone up on the tripod so the record button was on the left. However, my brain says “No, that is wrong!” He also folds the laundry wrong, the dishes are loaded wrong, and the toilet paper roll is wrong … I could go on and on! These are little nuances that can cause minor irritability but there are others that he does that can cause some major rage and fits of fury. First, do not tickle me or try to wrestle me – you will lose. I will freak out and kick and scream like crazy and not talk to you for a very long time. My brain tells me that you are dangerous and I am trapped. Also, I do not do well when people tell me what to do. Even when my husband makes a nice suggestion, it still gets under my skin. My brain does not interpret it as nice, it says, “Watch out! He is controlling!”. Now, are left-handers really wrong? Of course not. In fact, my husband does things very well and rocks around the house. However, when he does things, I have to adjust because my brain senses that things are out of control. My husband is also far from controlling and he never would harm me in anyway. He is actually like a giant teddy-bear. However, when I am touched in certain ways or told certain things, my brain sends out a signal that my freedom may be in jeopardy or I am losing power or control. I have been in controlling relationships before and my brain reminds me of that often. I also have had unfortunate experiences where my body and space were violated without my permission and my brain is on high alert. We all have our own things that trigger us. Maybe someone made a joke about you but it sent you over the edge? Or someone asks you to do something and you immediately go into a frenzy and feel overwhelmed? Or your friend doesn’t invite you somewhere and you start to obsessively think that no one likes you. Or you experience horrible road rage. These are examples of triggers. They are all over the place and often we don’t even realize it. Something happens and the next thing we know we are sent into emotional turmoil. 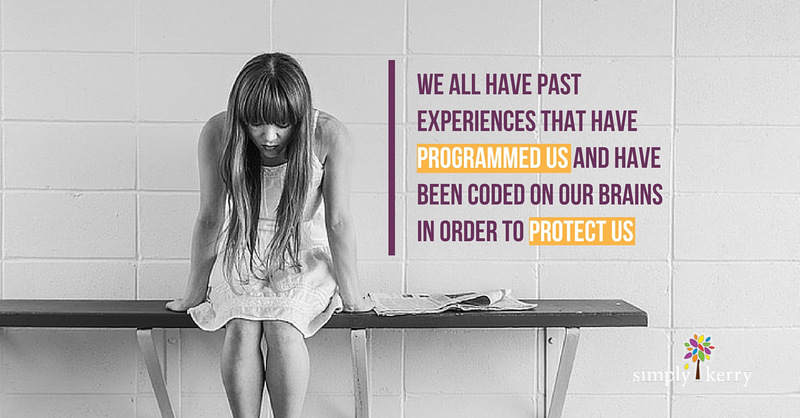 Basically, we all have past experiences that have programmed us and have been coded on our brains in order to protect us. So past events will often come bite us in the present. These past events differ for everyone but common ones are being bullied, judged, physically harmed, losing someone, being left out, being ridiculed, having your space invaded, being in an accident, or being treated unfairly. We have a need to feel safe, accepted, understood, to be valued and liked, to be treated fairly, to have freedom, love, comfort, balance, and order. When any of these things are threatened or we perceive that they are, we can experience negative emotional triggers. The key is to recognize the triggers immediately so we can be mindful of what is happening and take care of ourselves. It is also important to understand the source of these triggers – where did they come from in the first place? This will give you the power to rewrite the present. While our brain is amazing, it can send out false alarms. Various things have led to me needing and wanting control in my life, however, I can not control everything nor do I want live in an anxious state. This robs me not only of the moment but of my peace and joy. My phone still takes the same quality video no matter which way it is set up. The dishes still get washed no matter how my husband loads them and the laundry get folded and put away. My husband giving advice and being playful is not him being controlling but rather him trying to connect. They may be times that things make me uncomfortable but the more I understand the source of that discomfort I can communicate it in a loving way and take care of myself. If you are interested in identifying your triggers and turning them around, you can get a 2 week free trial of our study break sessions. Study Sessions are short weekly lessons that we send out every Sunday. They include a video from my husband Brad and I about a specific topic along with a homework assignment to help you process and implement change in your life. Click here for more information.